X-Ray Technologist July 2016 Board Exam Results (List of Passers, Topnotchers, Performance of Schools) - Balita Boss! 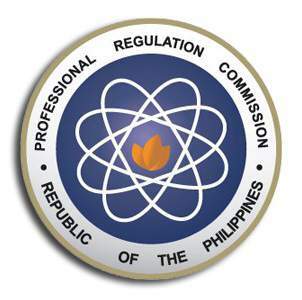 The Professional Regulation Commission (PRC) released the official results of July 2016 X-Ray Technologist Licensure Examination on Friday, July 15, 2016. The examination was conducted by the PRC on July 4 and 5, 2016 in the cities of Manila, Baguio, Cagayan de Oro, Cebu, Davao, Iloilo and Tuguegarao. A total of 56 out of 213 examinees passed the July 2016 X-Ray Technologist Board Exam, according to PRC (via PRC Website). JEFF LAUREN FLORENCONDIA BAUTISTA, a graduate from WESLEYAN UNIVERSITYPHILIPPINES-CABANATUAN CITY, ranked first in the July 2016 X-Ray Technologist Board Exam with a rating of 86.75 percent. To download the July 2016 X-Ray Technologist Board Exam Topnotchers, please click here or here. To download the July 2016 X-Ray Technologist Performance of Schools, please click here or here. The Board of Radiologic Technology who administered the X-Ray Technologist Board Exam are Mr. Reynaldo Apolonio S. Tisado as Officer-In-Charge, with members namely Dr. Orestes P. Monzon, Mr. Bayani C. San Juan and Ms. Ma. Jesette B. Canales. From July 21 to July 26, 2016, registration for the issuance of Professional Identification Card (ID) and Certificate of Registration will be done on-line. Please go to www.prc-online.com and follow instructions for initial registration.. 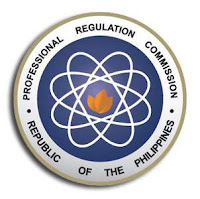 The date and venue for the oathtaking ceremony of the new successful examinees in the July 2016 X-Ray Technologist Board Exam will be announced later, the PRC said. Thank you for reading. Please follow Balita Boss on Facebook, on Twitter or on Google+ to receive updated information about the X-Ray Technologist Licensure Examination.